The Vostok-2018 war games are underway. Understandably, the world is watching with grave concern. After all, it is the largest military exercise between the Russian and Chinese (and Mongolian) militaries since the Cold War. The exercises themselves involved nearly 300,000 troops, 1,000 aircraft, 80 warships, and 36,000 armored vehicles, according to Bill Gertz of The Washington Times. Many strategists in the West worry that Vostok-2018 is a portent of a new strategic alliance between two of the largest powers in all of Eurasia against the United States. This would be the nightmare scenario. The landmass known as Eurasia encompasses a majority of the world’s natural resources – potable water, oil, natural gas, metals – and is home to most of the world’s population. For much of its history, though, Eurasia has been defined more by its regional divisions than its similarities. Many attempts at creating either a regional hegemon or a concert of powers to dominate this rich region have failed. There are seismic shifts occurring in the global political order. Since the 1990s, foreign policy thinkers such as Joseph S. Nye, Jr. have warned American leaders about the dawn of a multipolar world order. Other thinkers, such as the historian Paul Kennedy, have worried that the United States is a power in relative decline suffering “imperial overstretch.” The leaders of Russia, China, and various European states (like Germany and France) have pined for the birth of a multipolar world order where there are many centers of power, as opposed to only Washington, D.C. Since the Great Recession of 2008, while the United States has recovered economically, long running negative trends in both the economic and military realms have undermined America’s once unquestionable global dominance. For the duration of the Obama administration, American elites spoke openly about managing America’s relative decline. Countries like China have worked to build the “new silk road” aimed at linking as much of Eurasia together under Chinese control as possible. It was a policy designed to empower Beijing and weaken American influence in the region. Analysts, such as Michael Pillsbury of the Hudson Institute, have warned of China’s plan to become the world’s hegemon by 2049 (the hundredth-year anniversary of the Chinese Communist Party’s victory in the Chinese Civil War), thereby replacing the United States. The Vostok-2018 military exercises have been followed on by announcements from Beijing that the Chinese are preparing to ask the World Trade Organization to sanction the United States for anti-dumping duties that Washington has imposed on Chinese goods. Moscow reportedly supports Beijing’s request to the WTO in order to “protect global trade.” For its part, the WTO settlement dispute body is set to take up Beijing’s request on September 21, just four days after the Sino-Russo-Mongolian Vostok-2018 exercises conclude. Courtesy of The Mirror UK. What’s more, both China and Russia have renewed discussions to move away from the U.S. dollar as being the world’s reserve currency. Recently, Russian foreign minister Sergei Lavrov met with his Turkish counterpart (Turkey is upset over the Trump administration’s sanctions imposed that country for its unfair treatment of an American pastor) and announced that Turkey would be joining with Russia, Iran, and China in relying on their own national currencies to conduct international trade (as opposed to using the U.S. dollar). This comes a year after China got Saudi Arabia to allow for a small amount of oil to be traded on China’s currency as opposed to the U.S. dollar. The limited trade went gangbusters for investors. There will be greater levels of such trades conducted over the next five years, according to Beijing. This is not the first time that both China and Russia have attempted to undermine the U.S. dollar as the world reserve currency. During the 2008 Great Recession, Moscow attempted to get Beijing to dump their combined shares of Fannie Mae and Freddie Mac in an attempt to devastate the American economy. China refused only because the economic blowback on China would have been great. After 2008, Beijing argued that the world’s overreliance on the U.S. dollar is what precipitated the Great Recession. Until 2010, both Moscow and Beijing – as well as a litany of European states – wanted to create a new international reserve currency to conduct global trade. All of these agitations for a new world reserve currency went away after the Obama administration made an historic nuclear arms limitation agreement with Moscow. While Obama’s New START weakened America’s nuclear posture relative to Russia’s, it did have the salutary effect of redirecting Moscow’s attention away from the West and toward its east (at least until Russian president Vladimir Putin became convinced that Washington was trying to prevent his return to the Kremlin in the highly corrupt Russian presidential election of 2012). Trump should, therefore, make a deal with Russia. Similarly, financial analyst Charles Wallace has written in Forbes that the ubiquity of the U.S. dollar as a reserve currency means that no alternative will be crafted anytime soon. 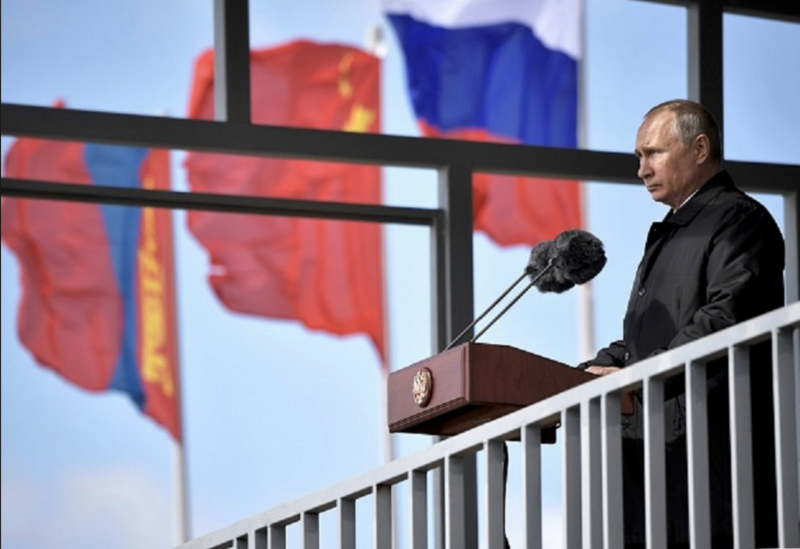 While Putin likes being seen with China’s President Xi Jinping, he understands that China’s ultimate goal is to cleave the Russian Far East away from Moscow and place it under Chinese control. Both China and Russia are looking for better deals from Washington. President Trump must continue with his efforts to deal with Russia, while standing firm against China on trade. Despite appearances to the contrary, the Sino-Russian alliance is not solidified. Moscow and Beijing just want a better deal from Washington. Head over to American Thinker for more great content!